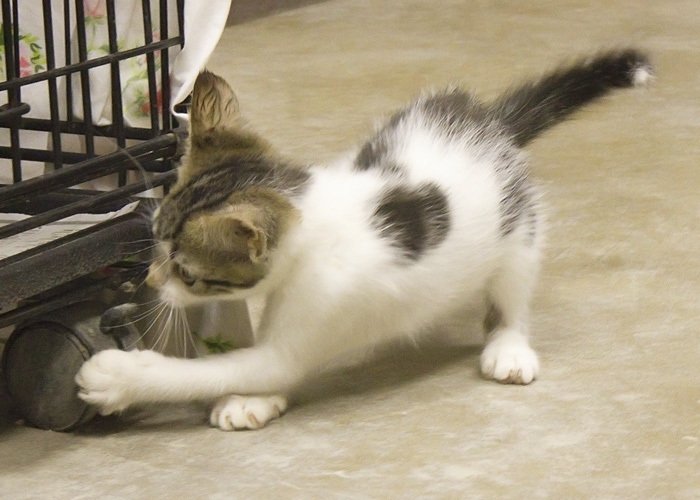 Recently there have been several litters of kittens born at the Humane Society of Noble County. Rather than posting each kitten individually, I decided it would be easier to make some general comments about all of the kitten, and then post individual pictures. All of these kittens are roughly 2-3 months old. They have all had shots and been wormed. 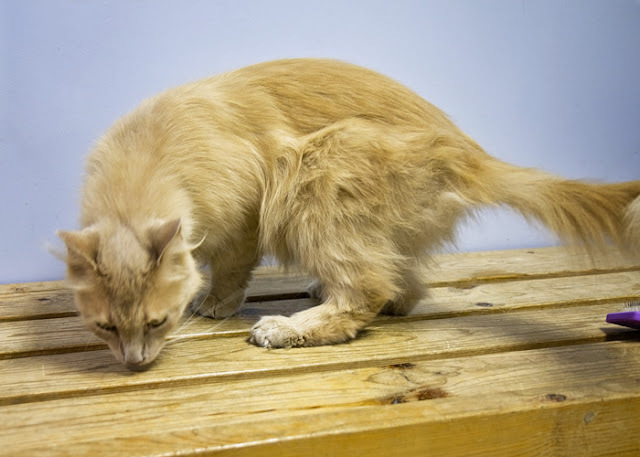 Some have not had flea prevention yet, but before they leave the shelter they will have flea prevention, FIV testing, and they will receive a microchip. And until the end of June - all this for only $15! 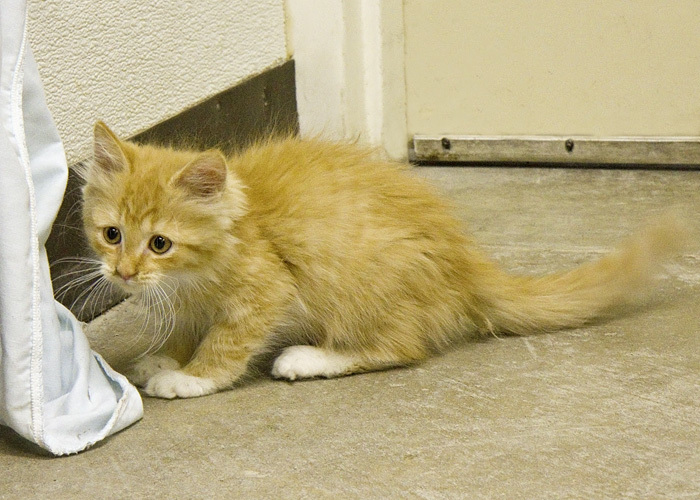 All of these kittens are outrageously cute! 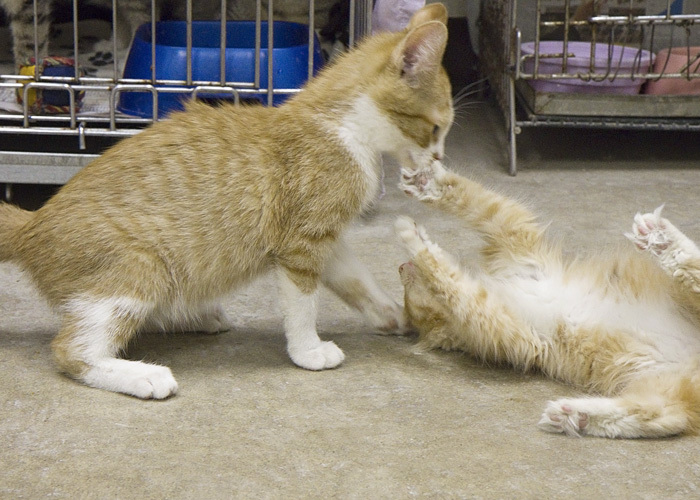 They are goofy and silly in ways that only a kitten can be. They love to play - with each other, with toys, and with people. They are affectionate and crave human attention. 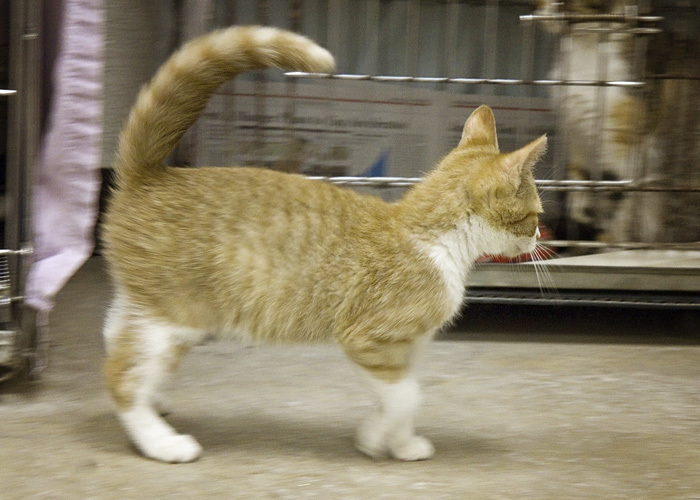 As you scroll through the pictures, read the descriptions of each cat beside the picture. Come visit them at the Humane Society of Noble County! I will be posting more pictures daily until I have posted them all. 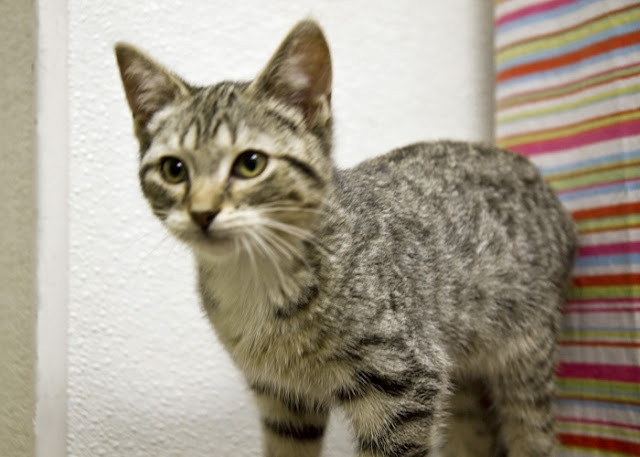 This is Alyssa, a pretty little black and tan female tabby with a white left leg and white paws. She was constantly in motion, so the picture of her is not very good, but she is a beautiful kitten! 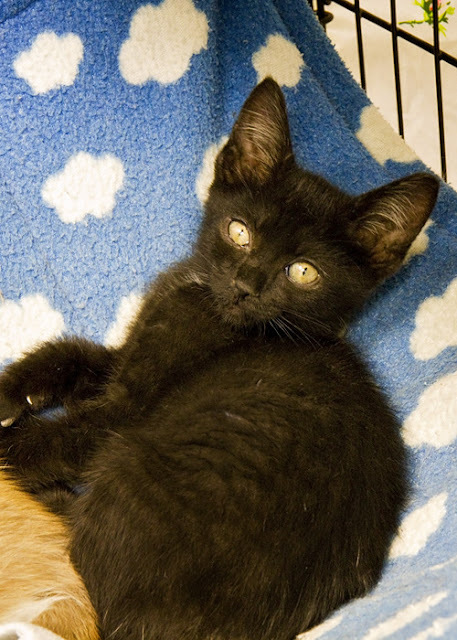 This is Brandi, a black female with a little white on her chest and tummy. She loves lying in the hammock in her cage. 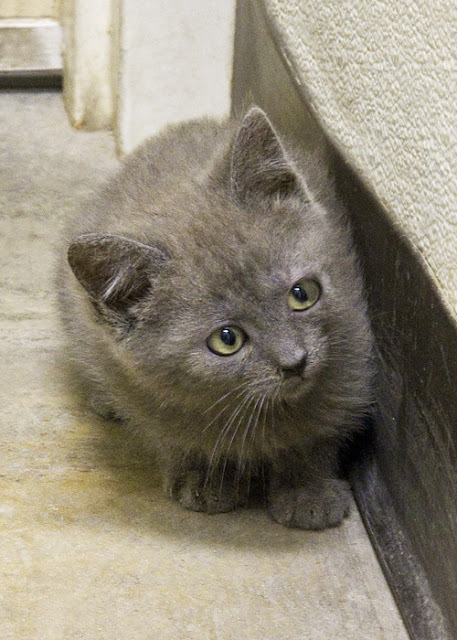 This precious girl is Daisy, a tiny all-gray kitten with beautiful green eyes. 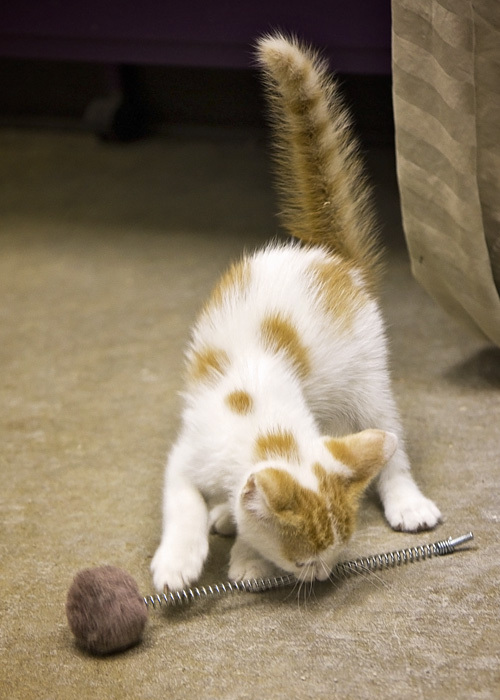 Here Daisy was playing with something that was on the floor. 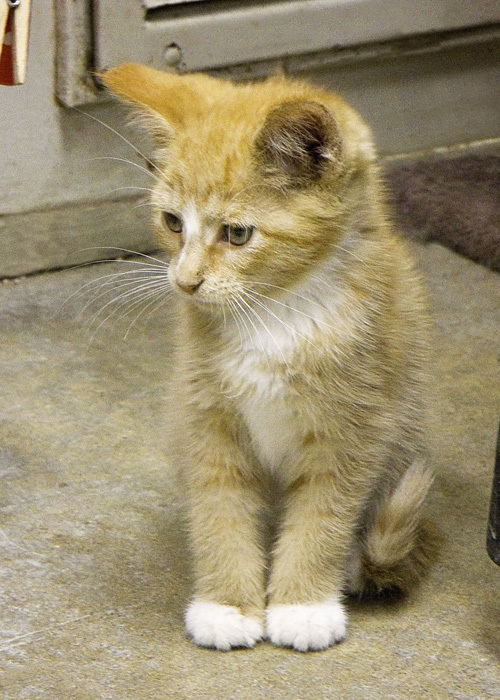 Mango is a little orange female with white feet and white on her chest. Look how photogenic she is! She also loves the hammock. She and Brandi like to get in it at the same time. 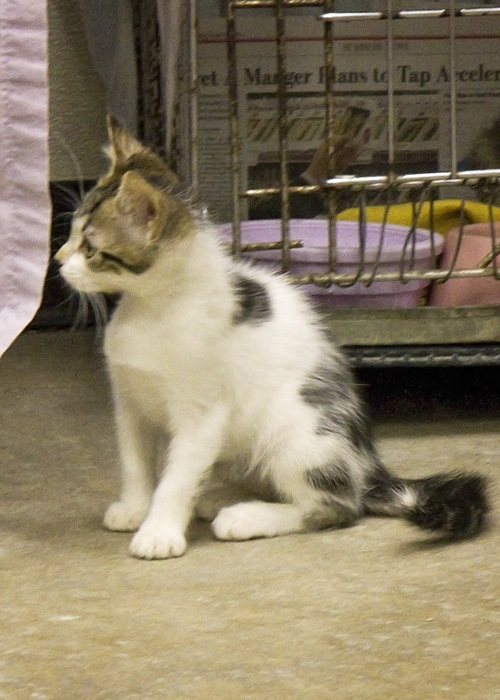 Sierra is a pretty white female with black and tan tabby markings and white on the tip of her tail. Here Sierra is being curious about this cage. I think she rolled a little ball under it and is looking for it. Please come visit all the cats and kittens at the shelter. 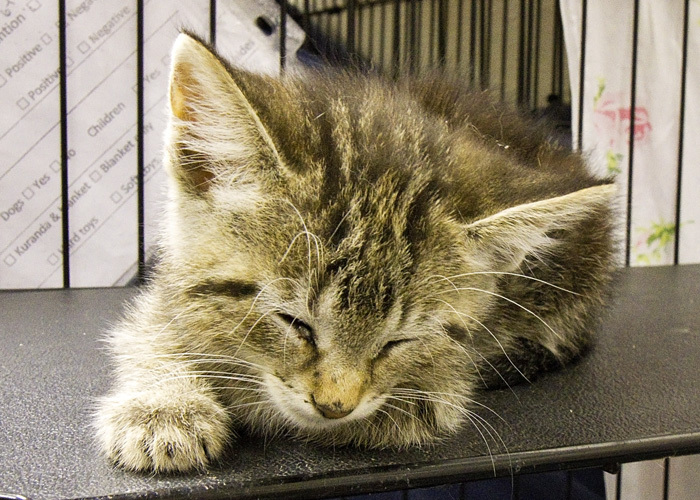 They are waiting for their forever homes and would make wonderful additions to your family! 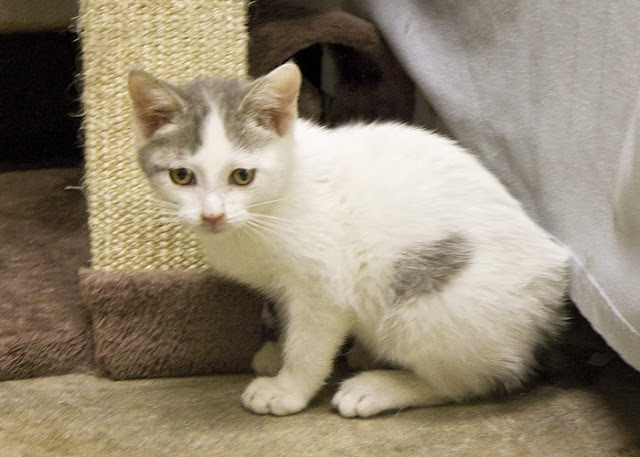 This is Dominic, a white male with some gray spots. 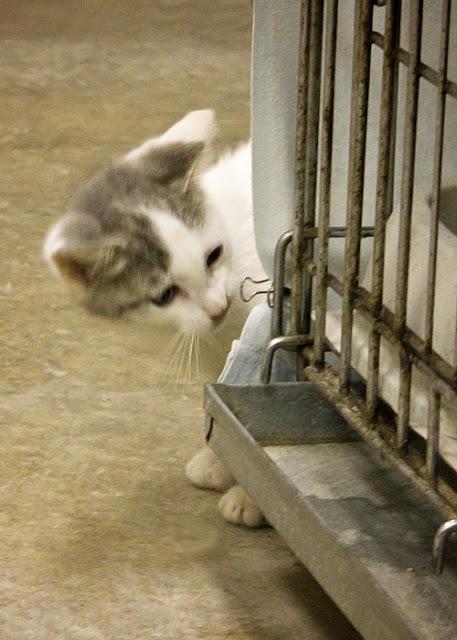 In this picture, Dominic is peeking around the corner to see the kittens in this cage. 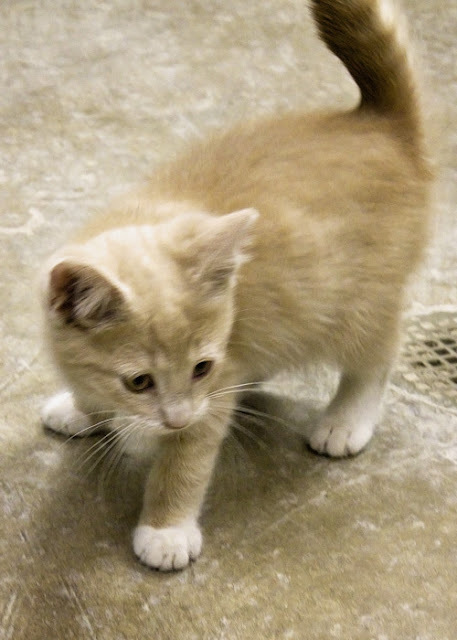 This next kitty is Duncan, a little buff-colored male. 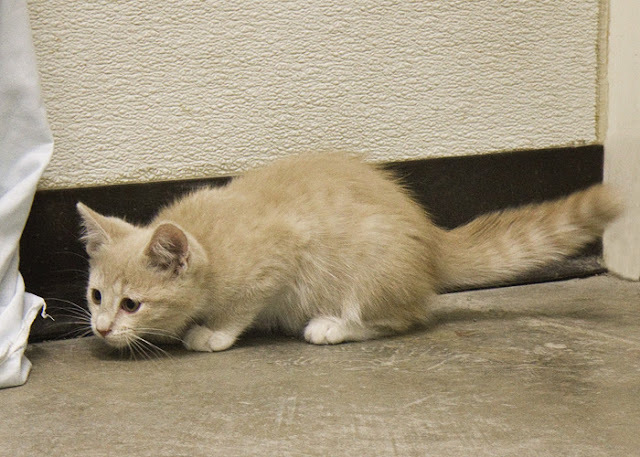 Here Duncan sees something that he is getting ready to pounce on. 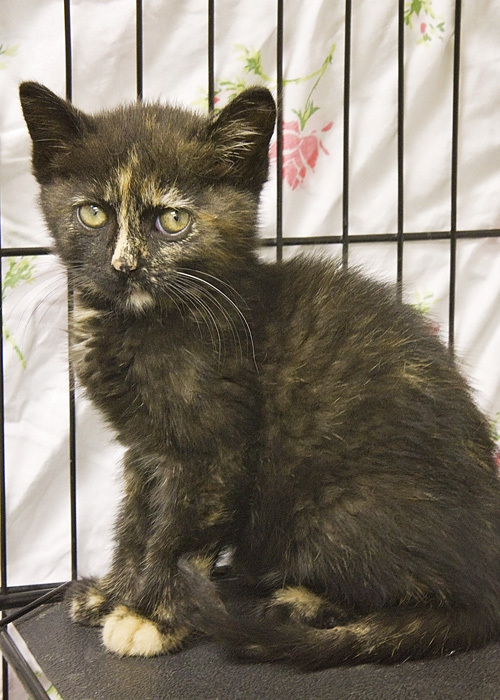 This is McKenzie, a little female tortoise shell kitten. In this picture she looks mad, but she is actually quite a sweetie! This is Mara, a little black and tan female tabby. Mara played so hard that she couldn't keep her eyes open any longer! This is Naya, an orange and tan kitten with longish hair. Naya is waiting to come out of her cage to play. County. They are waiting for their forever homes! 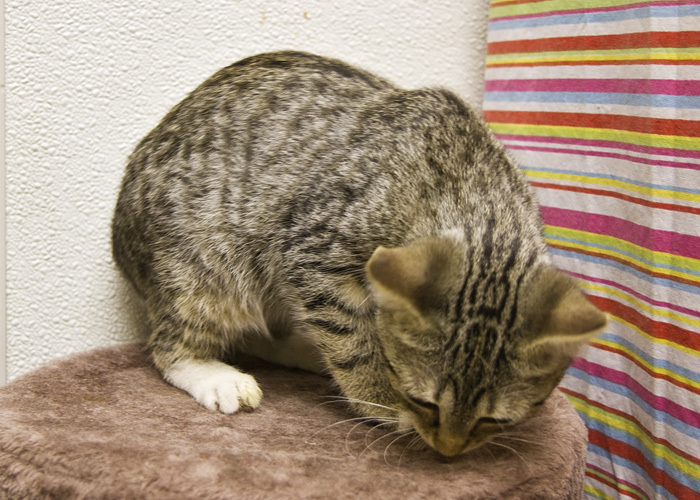 This is Lita, a gray and tan female tabby. Here is Lita just acting silly. 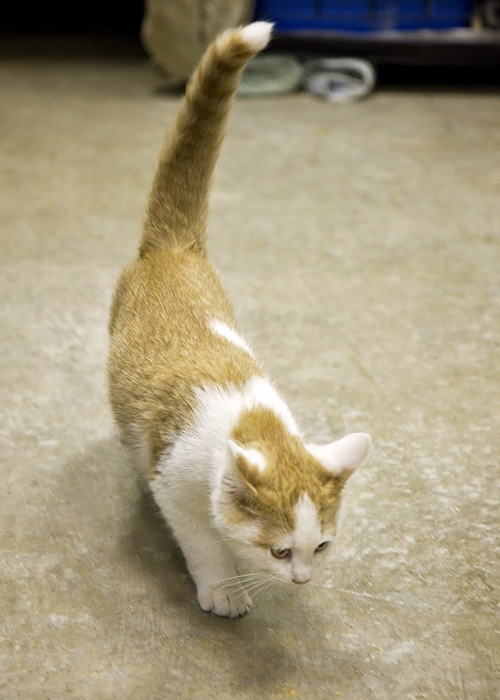 This is Zane, and orange and white male tabby. In this picture, Zane is playing with Sunshine. 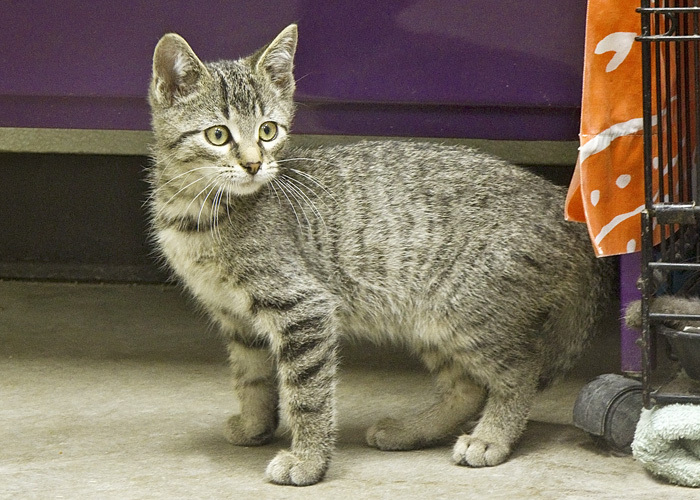 This kitten is Tyson, a black and tan male tabby with a white chin and chest. Tyson is a very handsome, photogenic boy! 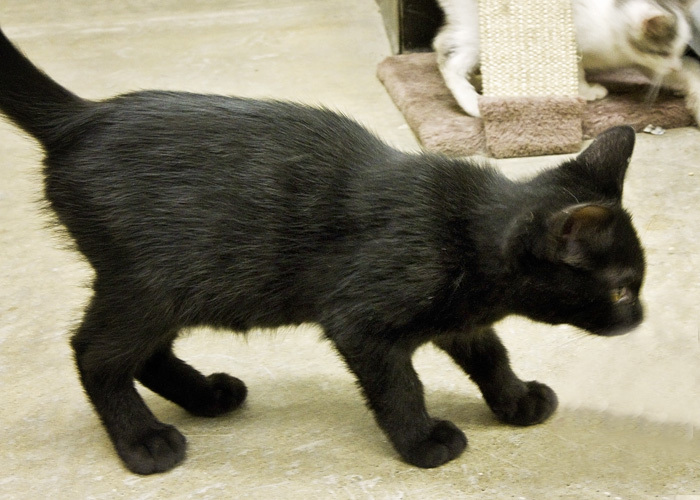 This is Carson, an all-black male. Here Carson is playing with a pen. Kittens will play with almost anything! 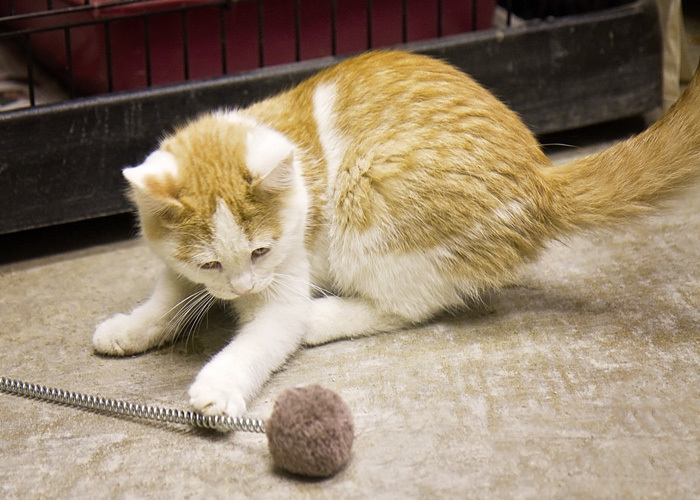 And finally, we have Sunshine, an orange and white long-haired male tabby. 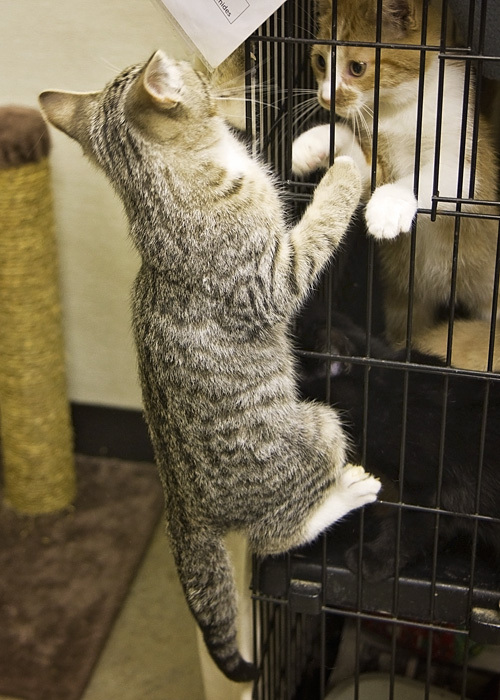 In this picture, the kitten in the cage is trying to play with Sunshine. 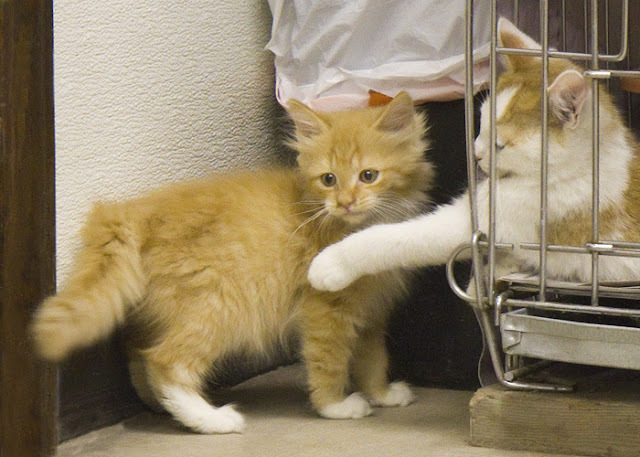 Please come visit these kittens, and all the other cats and kittens at the shelter. They are all waiting for their forever homes! Meet Ivy. 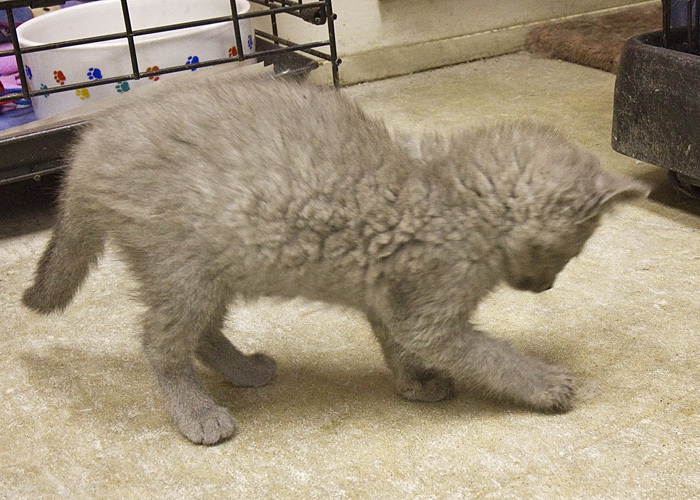 She is a dark gray cat with a beautiful, satin-like coat. 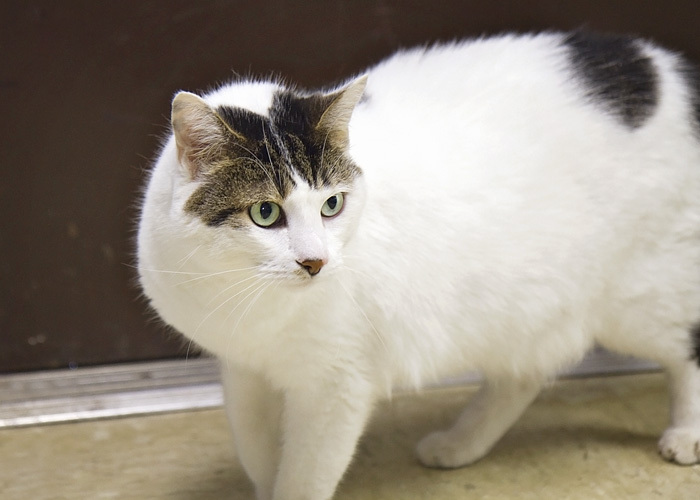 She is 2-3 years old and has been at the Humane Society of Noble County since February, 2015. She is current on shots, flea prevention, and worming, and is FIV-negative. 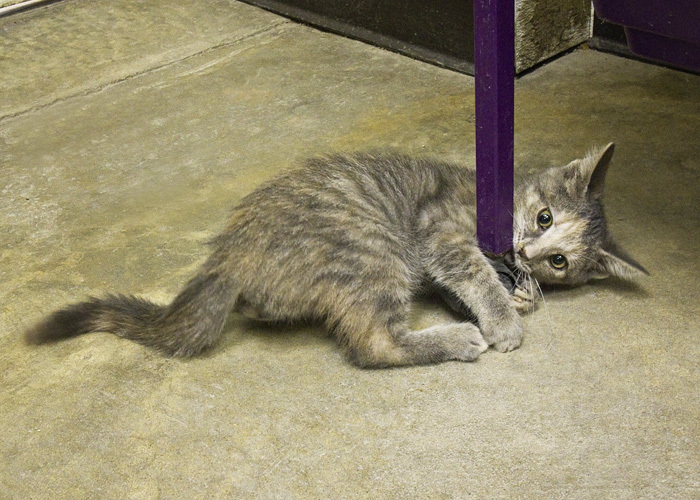 Ivy is very playful. 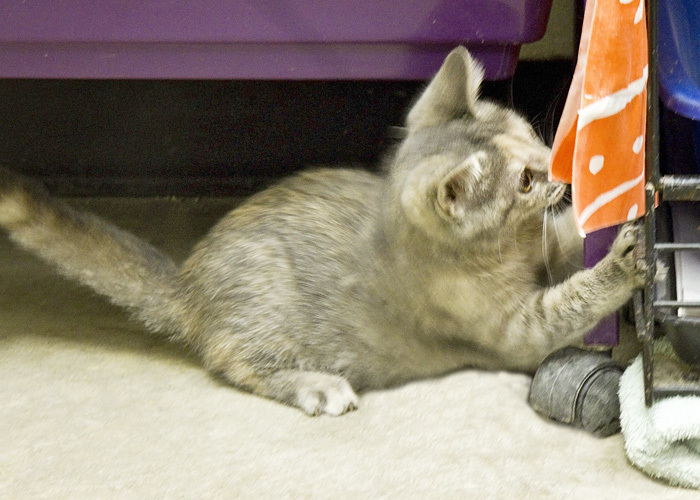 As you can see from the pictures, she is exploring and checking out the other cats. She also appears to be checking for a secret, hidden door in the wall. Ivy is also very affectionate and loves to be held and brushed. 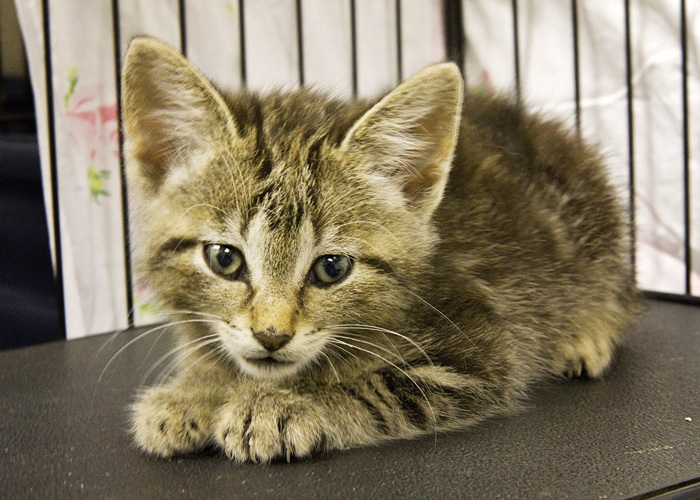 You only have until the end of June to adopt Ivy or any other cat or kitten from the shelter for only $15. Come visit and give one a forever home! 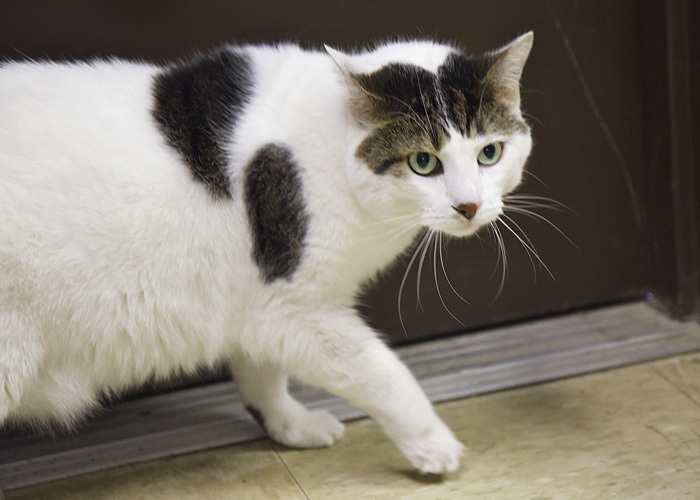 This is Big Boy, a white and black neutered male with tan tabby-like patches. 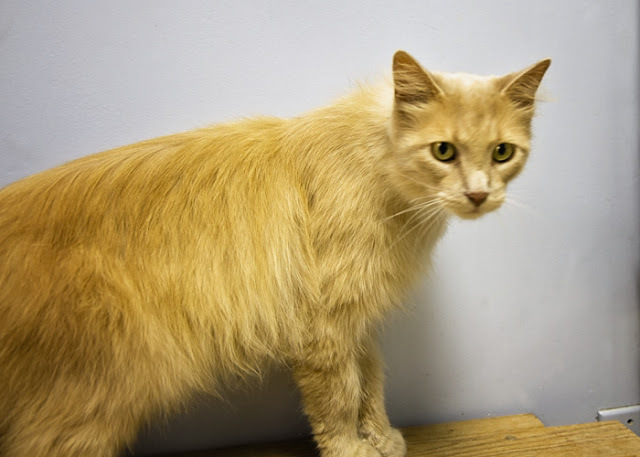 He is front declawed, has been wormed, is FIV-negative, and is up-to-date on shots and flea prevention. He is approximately 4-7 years old. 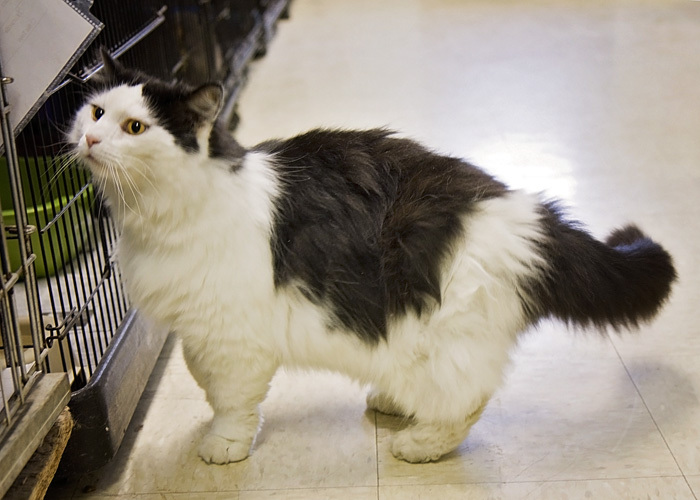 Like his name says, Big Boy is a large cat. He has been at the Humane Society of Noble County for about a month. 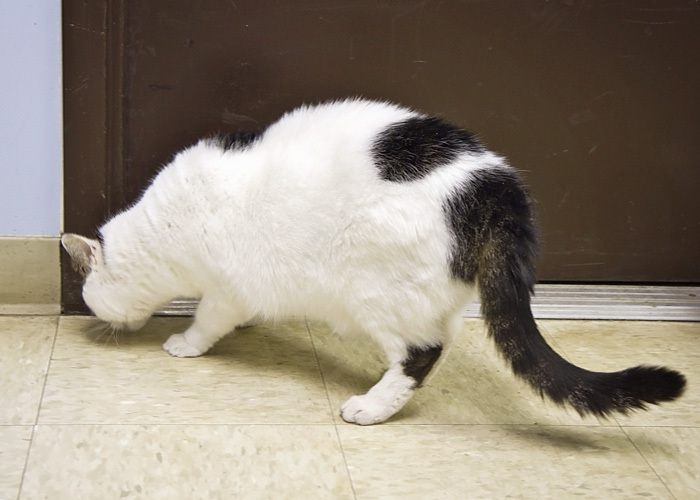 Big Boy is curious, loves to explore and interact with other cats, and is a big lover. 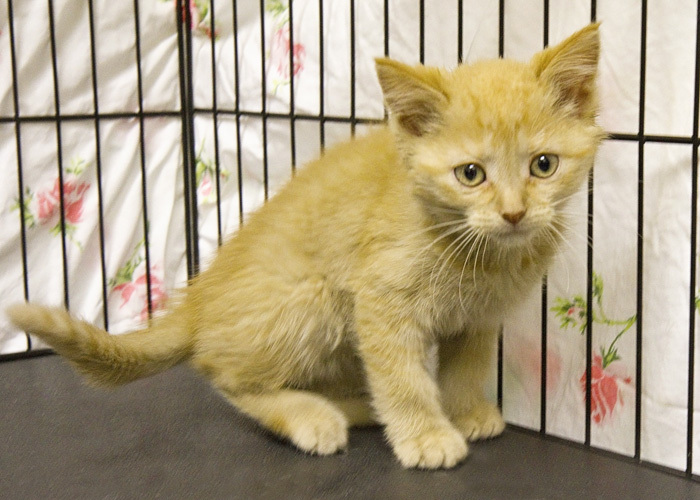 Please come to the shelter to meet him. 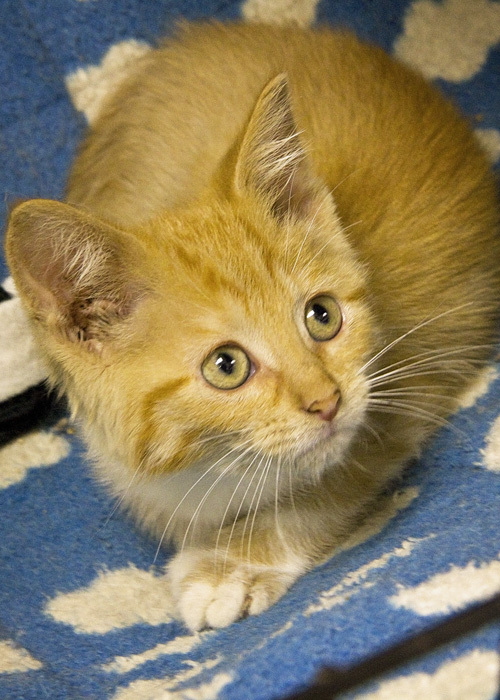 This next kitty is Rolo, a long-haired orange and tan tabby with some white on his throat. 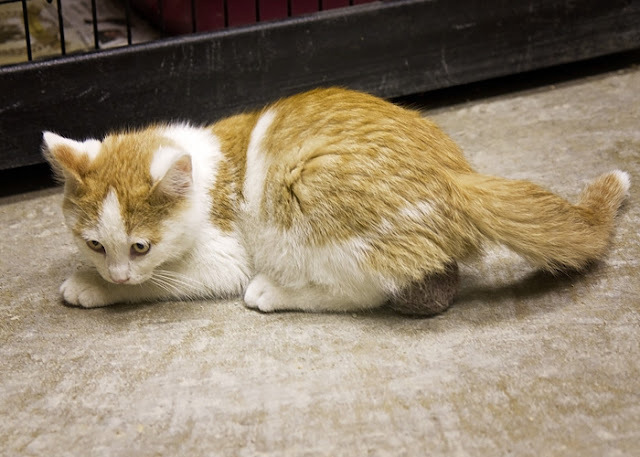 Rolo is neutered and front declawed, and is approximately 3-5 years old. 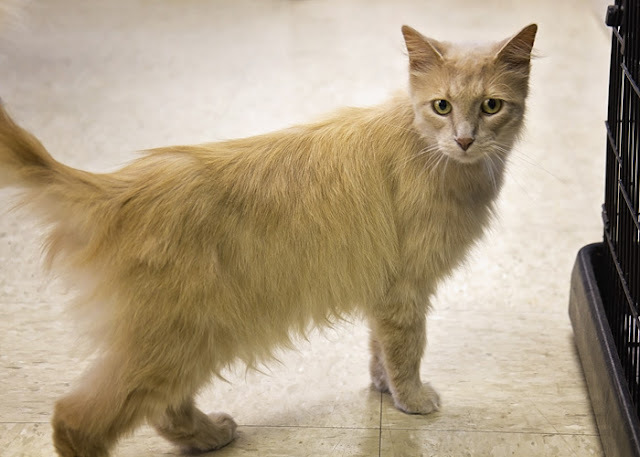 He has been at the Humane Society of Noble County for about 7 weeks. Rolo has had his shots and flea prevention, has been wormed, and is FIV-negative. He likes to explore and likes human attention. 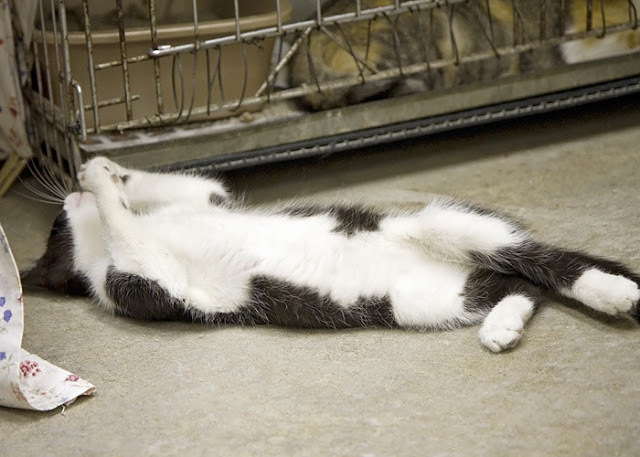 Today he rolled over on his back and stuck his paw through the cage to get my attention! Big Boy, Rolo, and all other cats at the shelter can be adopted for only $15 through the end of June. Come see these wonderful animals today and get a great deal! 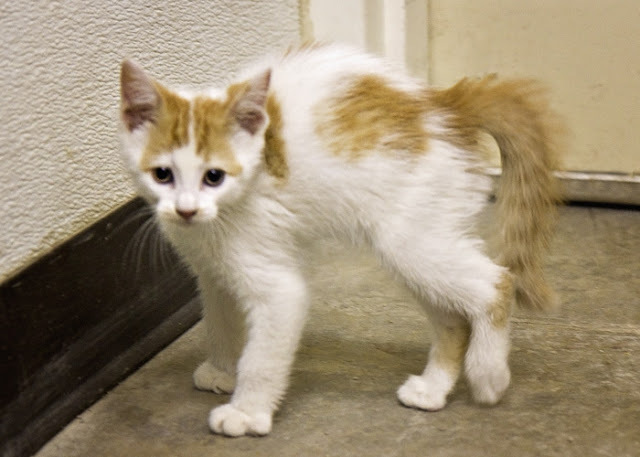 This little character is Jester, a white and orange male who is about 2 months old. He has had shots and flea prevention and has been wormed. He was born at the Humane Society of Noble County on April 20, 2015. Jester is aptly named because he is hilarious! He is very playful and goofy. He will play with almost anything, chase the other kittens, jump sideways and straight up in the air. He is also friendly and affectionate. This next guy is Lil' Johnny, a 3-4 month old male tabby. 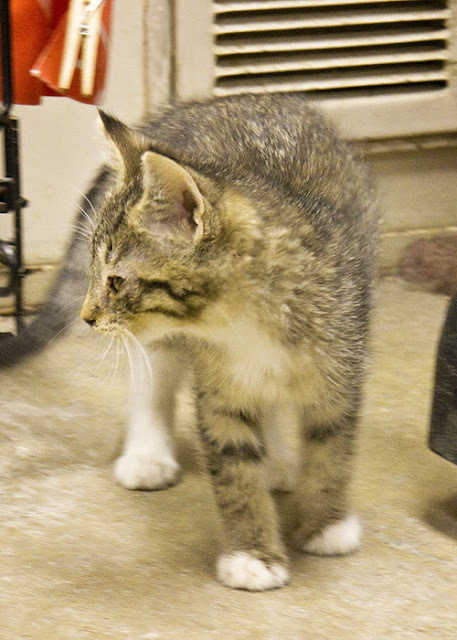 He is black, gray and tan with spotted sides and white feet. He has a very distinct M on his forehead! He is current on shots, flea prevention and worming, and is FIV-negative. 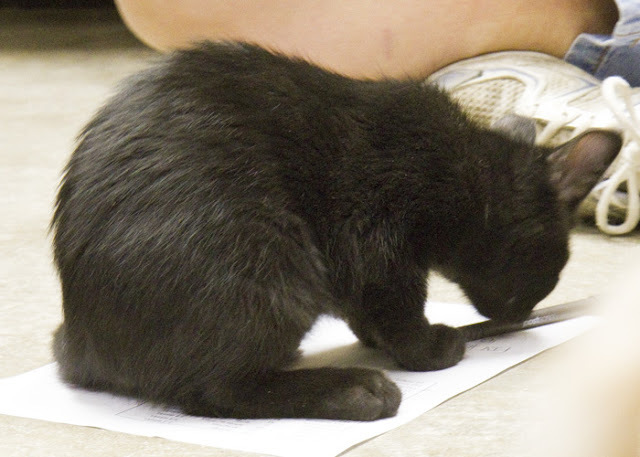 Lil' Johnny is very friendly, curious, and playful. 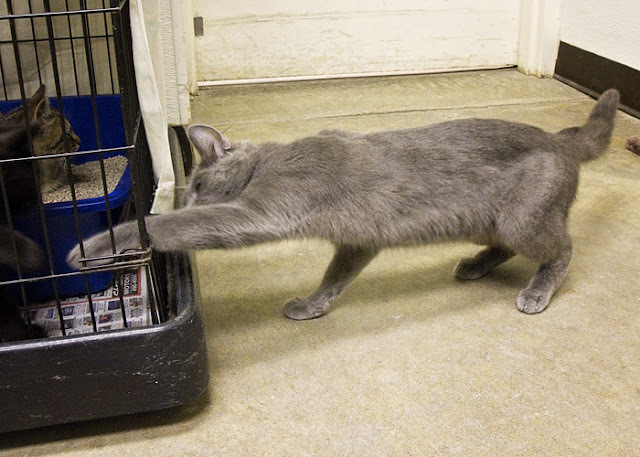 He is also quite an acrobat, as you can see from the second picture where he has climbed one of the cat cages to try to play with the kittens inside. 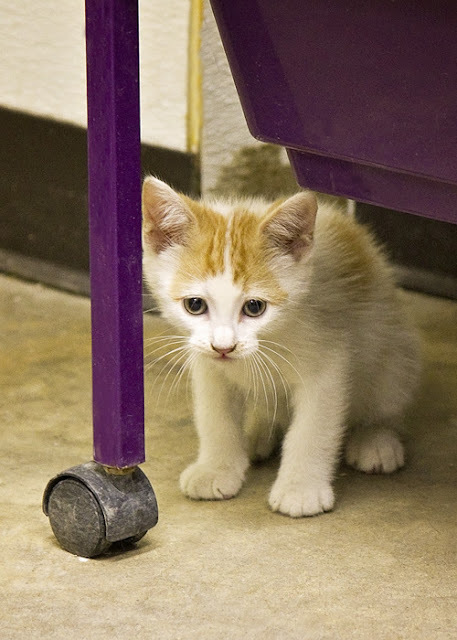 For only 5 more days, you can adopt Jester, Lil' Johnny, or any other cat at the Humane Society of Noble County for only $15! Come visit them all and take advantage of this great deal!! This little guy is Ozzy. He is an orange and white male, around 3 months old. He has had shots and flea prevention, has been wormed, and is FIV-negative. 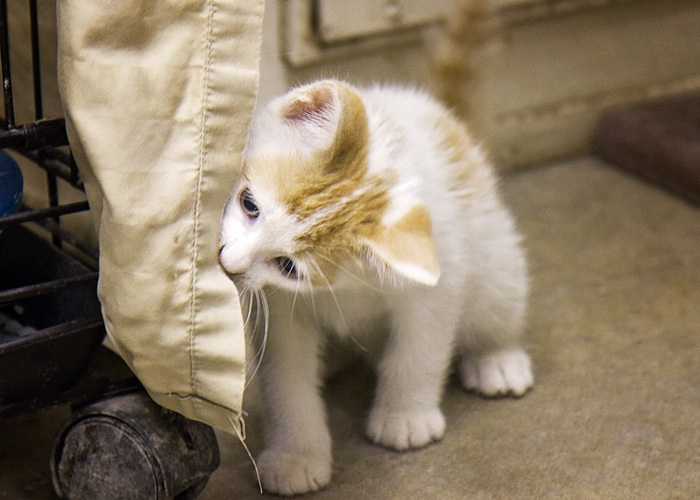 Ozzy is curious, playful, and loving. 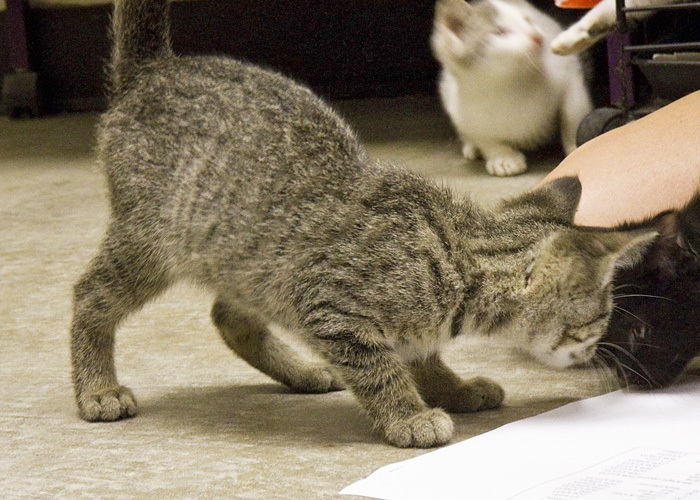 He loves all the other kittens as well as human attention! 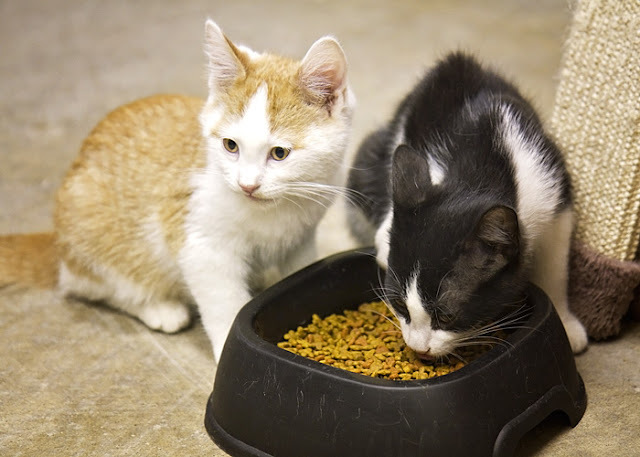 Here, Ozzy is enjoying dinner with his friend Prince. 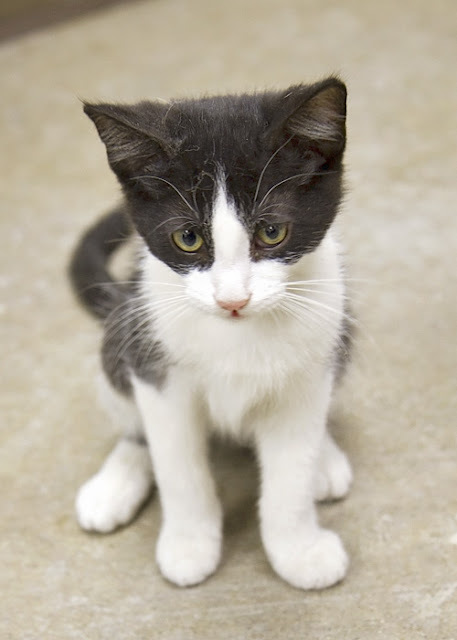 Prince is a black and white male who is around 4-5 months old. He is up-to-date on shots, worming, and flea prevention. Prince loves to be held and petted. He is also playful and silly, as you can see from the second picture. You can adopt Ozzy, Prince, or any of the other wonderful cats from the Humane Society of Noble County for only $15 during the rest of June. Come visit Ozzy, Prince, and their friends! This is JC, otherwise known as Joe Cool. 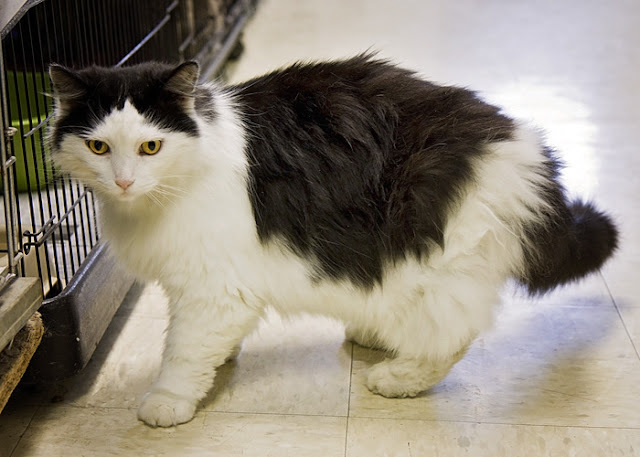 He is a large, white and black neutered male who is approximately 5-8 years old. He is up-to-date on shots and flea prevention, has been wormed, and is FIV-negative. JC is a real lover. He sat on my lap for a long time while I brushed his beautiful long fur, and when I was done he didn't want to get down. 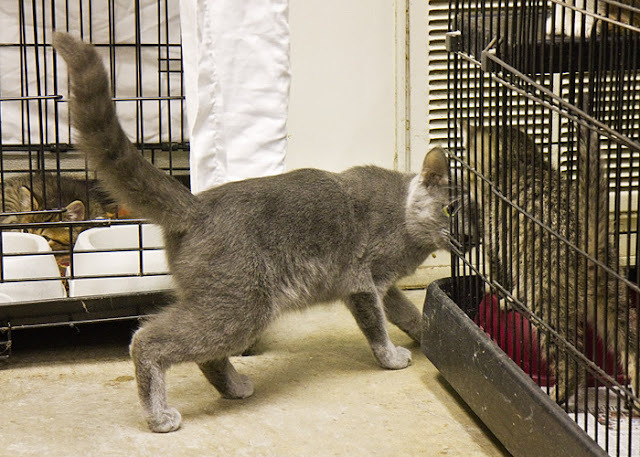 He did decide to explore a little bit though, checking out some of the cats in the other cages. 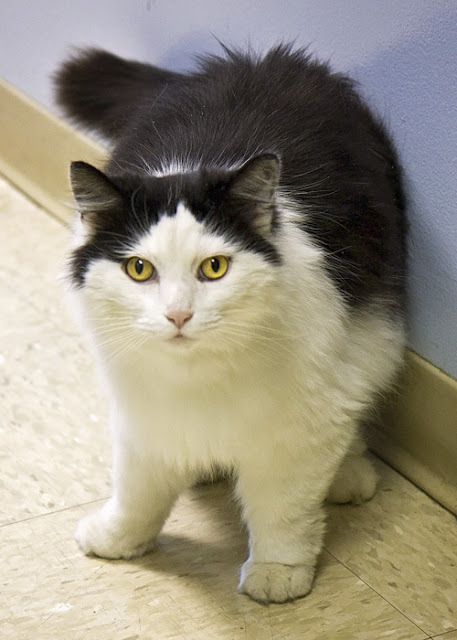 He has been at the Humane Society of Noble County for about a month, and would love to have a permanent home. 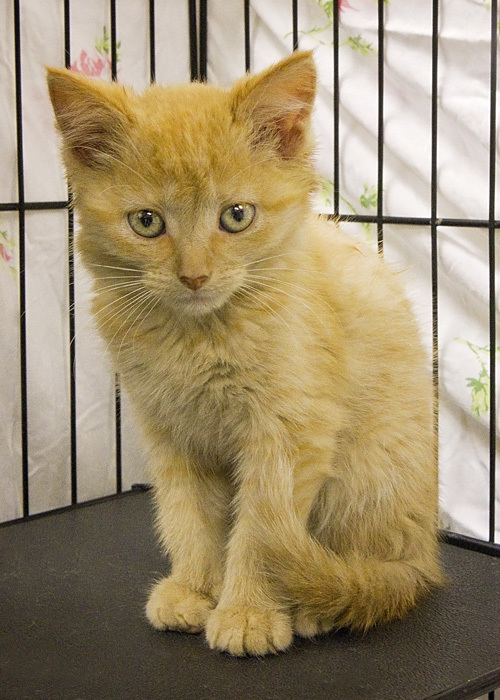 For the rest of June, you can adopt him for only $15. Come see JC and make him yours!